DALLAS & LOS ANGELES--(BUSINESS WIRE)--Tenet Healthcare Corporation (NYSE:THC) and operating subsidiaries of Health Net, Inc. (NYSE:HNT) have signed a new agreement providing Health Net members with in-network access to 59 Tenet hospitals, 129 outpatient centers and more than 1,600 employed physicians in 12 states through 2016. The new agreement continues the in-network access available to members under Health Net’s commercial HMO/PPO, Medicare Advantage, Medicaid and TRICARE arrangements. Also, for the first time, veterans in nine states gain access to Tenet’s facilities and physicians through Health Net’s agreement with the Department of Veterans Affairs Patient-Centered Community Care (PC3) program. The PC3 program supplements the healthcare capabilities of the Veterans Health Administration by expanding access for eligible veterans to primary care, specialty care and behavioral healthcare services offered by community hospitals, outpatient centers and other providers. “This agreement further helps us ensure eligible veterans and military beneficiaries have timely access to quality healthcare services within their community,” said Tom Carrato, president of Health Net Federal Services. “This new agreement also helps Health Net improve cost certainty over the next two years, which benefits our members,” said Steve Sell, president of Health Net’s Western Region Health Plan. Tenet Healthcare Corporation is a national, diversified healthcare services company with more than 105,000 employees united around a common mission: to help people live happier, healthier lives. The company operates 80 hospitals, more than 210 outpatient centers, six health plans and Conifer Health Solutions, a leading provider of healthcare business process services in the areas of revenue cycle management, value based care and patient communications. For more information, please visit www.tenethealth.com. Health Net, Inc. is a publicly traded managed care organization that delivers managed health care services through health plans and government-sponsored managed care plans. Its mission is to help people be healthy, secure and comfortable. Health Net provides and administers health benefits to approximately 6 million individuals across the country through group, individual, Medicare (including the Medicare prescription drug benefit commonly referred to as “Part D”), Medicaid, U.S. Department of Defense, including TRICARE, and Veterans Affairs programs. 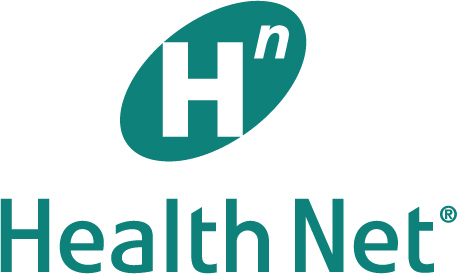 Health Net also offers behavioral health, substance abuse and employee assistance programs, managed health care products related to prescription drugs, managed health care product coordination for multi-region employers, and administrative services for medical groups and self-funded benefits programs. The company and its representatives may from time to time make written and oral forward-looking statements within the meaning of the Private Securities Litigation Reform Act (“PSLRA”) of 1995, including statements in this and other reports, in presentations, press releases, filings with the Securities and Exchange Commission (“SEC”), and in meetings with investors and analysts. All statements in this report, other than statements of historical information provided herein, may be deemed to be forward-looking statements and as such are intended to be covered by the safe harbor for “forward-looking statements” provided by PSLRA. These statements are based on management’s analysis, judgment, belief and expectation only as of the date hereof, and are subject to changes in circumstances and a number of risks and uncertainties. Without limiting the foregoing, statements including the words “believes,” “anticipates,” “plans,” “expects,” “may,” “should,” “could,” “estimate,” “intend,” “feels,” “will,” “projects” and other similar expressions are intended to identify forward-looking statements. Actual results could differ materially from those expressed in, or implied or projected by the forward-looking information and statements due to, among other things, health care reform and other increased government participation in and taxation or regulation of health benefits and managed care operations, including but not limited to the implementation of the Patient Protection and Affordable Care Act and the Health Care and Education Reconciliation Act of 2010 (collectively, the “ACA”) and related fees, assessments and taxes; the company’s ability to successfully participate in California’s Coordinated Care Initiative, which is subject to a number of risks inherent in untested health care initiatives and requires the company to adequately predict the costs of providing benefits to individuals that are generally among the most chronically ill within each of Medicare and Medi-Cal and implement delivery systems for benefits with which the company has limited operating experience; the company’s ability to successfully participate in the federal and state health insurance exchanges under the ACA, which in the past have experienced technical challenges in implementation and which involve uncertainties related to the mix and volume of business that could negatively impact the adequacy of the company’s premium rates and may not be sufficiently offset by the risk apportionment provisions of the ACA; increasing health care costs, including but not limited to costs associated with the introduction of new treatments or therapies; the company’s ability to reduce administrative expenses while maintaining targeted levels of service and operating performance, including through the company’s master services agreement with Cognizant; whether the company receives required regulatory approvals for Cognizant’s provision of services to the company and any conditions imposed in order to obtain such regulatory approvals; the company’s ability to recognize the intended cost savings and other intended benefits of the Cognizant transaction; and the risk that Cognizant may not perform contracted functions and services in a timely, satisfactory and compliant manner; negative prior period claims reserve developments; rate cuts and other risks and uncertainties affecting the company’s Medicare or Medicaid businesses; trends in medical care ratios; membership declines or negative changes in the company’s health care product mix; unexpected utilization patterns or unexpectedly severe or widespread illnesses; the timing of collections on amounts receivable from state and federal governments and agencies, including collections of amounts owed under the T-3 contract; litigation costs; regulatory issues with federal and state agencies including, but not limited to, the California Department of Managed Health Care and Department of Health Care Services, the Centers for Medicare & Medicaid Services, the Office of Civil Rights of the U.S. Department of Health and Human Services and state departments of insurance; operational issues; changes in economic or market conditions; failure to effectively oversee the company’s third-party vendors; noncompliance by the company or the company’s business associates with any privacy laws or any security breach involving the misappropriation, loss or other unauthorized use or disclosure of confidential information; impairment of the company’s goodwill or other intangible assets; investment portfolio impairment charges; volatility in the financial markets; and general business and market conditions. Additional factors that could cause actual results to differ materially from those reflected in the forward-looking statements include, but are not limited to, the risks discussed in the “Risk Factors” section included within the company’s most recent Annual Report on Form 10-K and subsequent Quarterly Reports on Form 10-Q filed with the SEC and the other risks discussed in the company’s filings with the SEC. Readers are cautioned not to place undue reliance on these forward-looking statements. Except as may be required by law, the company undertakes no obligation to address or publicly update any forward-looking statements to reflect events or circumstances that arise after the date of this report.